Life with Lynnie: Happy Resurrection Day! Happy Easter! 20 And they went forth, and preached every where, the Lord working with them, and confirming the word with signs following. Amen." 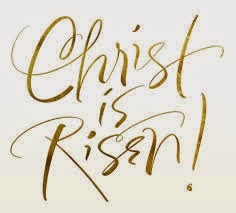 Just as we read, in 1 Peter 1:3, "Blessed be the God and Father of our Lord Jesus Christ, which according to his abundant mercy hath begotten us again unto a lively hope by the resurrection of Jesus Christ from the dead,"
Labels: Bible Verses, Blessing, Easter, God/Jesus, Gospel, salvation.